How Will You Respond To Post-Convention Youth? Today is Victoria Day here in Canada. In the Maritime District of our church fellowship, it is the first day after Youth Convention. For three days we worshiped, prayed, jumped and played. Now we’re home. Now we decide what to do with what God did in us this weekend. But this post is not about youth convention. It is not about the honest words shared by our speakers. 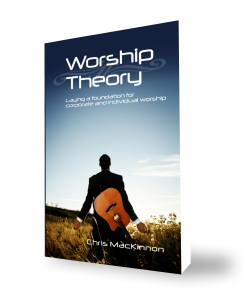 It goes beyond the uplifting worship and the breakthroughs around the altar. During our final service, and throughout the four hour drive home, I knew that I had a different message to share. And this message begins with one simple question, “How willyou respond to post-Convention youth?” You have the ability to see, understand and confirm what took place in the life of every teenager that experienced God this week. You also have the ability to ignore, dull and even nullify it, all by your response in the next few days, weeks and months. Some of you don’t like electric guitars. Some of you don’t like loud music. Some of you don’t know why kids have to get all riled up at youth convention anyway. DO NOT be a buzz kill. DO NOT tell them that now that they are home they have to be “proper” or “reverent.” Don’t tell them that what they experienced at Convention was nice for Convention, but now they have to come home and get back to normal life. These youth just had normal thrown out the window. Not because of four church services. Not because of amazing music. Not because of a talented speaker. And not because of three hours at the amusement park. Hopefully every teenager, leader and pastor that went to Convention discovered, for the first time or for a fresh time, that new kind of normal that results from an encounter with the living, powerful, one true God. By finding life and joy and love and hope in the outstretched arms of Jesus Christ. By discovering strength and boldness to shine in a world full of darkness in the power of the Holy Spirit. If you feel uncomfortable around these youth that are loud and excited, find out what is missing in your life before you condemn anything God did in their lives. If you feel like you cannot see what they see or feel what they feel, don’t believe the lie that it is because you have matured in your relationship with God. As fellow believers – believing in the same God, trusting in the same work of Jesus, sealed by the same Spirit – it is your responsibility to feed their faith, fuel their enthusiasm (maybe even catch some of it), and do everything in your power to keep it alive and thriving. Some people find out that I’m a “senior” pastor and think that I am too young for the job. They think I need more experience. They think I should have more grey hairs (thought that seems to be taking care of itself). Other pastors think I have strange ideas. My input is interesting, but it is not valuable to them. And I’m twenty years older than most of the youth that went to Convention. Technically I am a generation ahead of these teenagers, but even my generation struggles to be heard and used in the church today. Why are twenty- and thirty-somethings out of the church? Because when we came back from camp and youth convention, full of the Spirit and power, called and anointed by God, challenged and ready to make a difference in the world and in our church for Jesus Christ, we were ignored … and we still are. What will happen to this new generation? Pastor, will you recognize the call on their lives to preach the Gospel, to teach the Word? Will you say, “That’s great. I pray it works out for you”? Or will you take them under your wing, disciple them, help them to lead and minister where they are and prepare them for what is yet to come? It is going to require to learn a new language: teenager. It is going to demand a little bit of mentoring time in your schedule. These young people have just made the connection between the reality of God, His ability to make a difference in their individual lives, and the desire to go deeper into the most incredible adventure of their lives. Who should be more excited than you? The future of your church was just hooked up to the Supernatural Source and was jumpstarted with Heavenly Power. Don’t turn off the ignition. Don’t let fuel tank run out. Don’t leave the transmission in neutral. Throw it into drive and get on for the ride.